The starting date of the match is given in the 15 Mar. 1887 issue of the Brooklyn Chess Chronicle (p.87) and the final score in the 15 Apr. 1887 issue (p.101). Mackenzie left on 25 Mar. 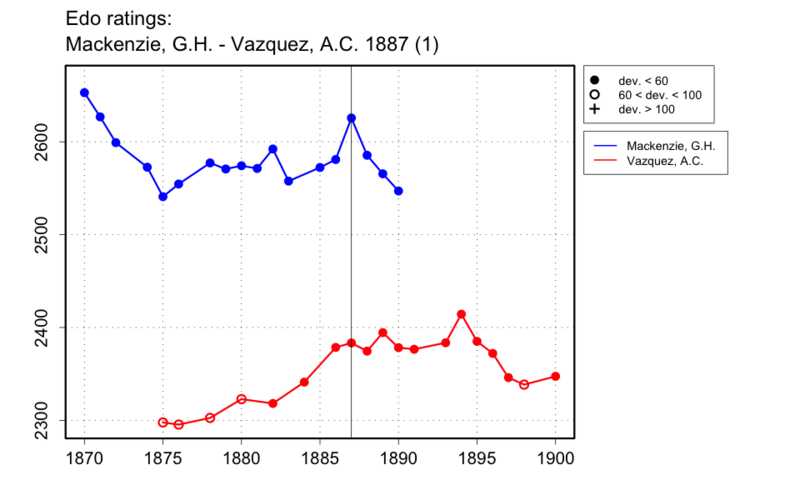 1887, so the match also ended in Mar. 1887.